The term “Multi-platform” is the combination of words that show the pluralism of content providers and the emergence of a wide range of distribution actors in addition to the conventional linear media. The “multi-platform ecosystem” is the new trend of media convergence and the expansion of the multi-channel platforms. Consumers often adapt their preferences and alternate between the conventional media and the new generation of media. How Convergence influences media systems on political, economic, social and cultural aspect and at local, national and global level. 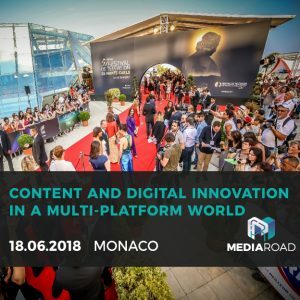 How Content production, distribution and consumption is accelerated and facilitated by the new technological developments. Skills and digital literacy are of high importance in order to support the audience to absorb the huge amount of data and media organizations have to adapt their strategies to this massive technological change. Nowadays, television and films are gathered via internet, mobile and linear/non-linear broadcasting. 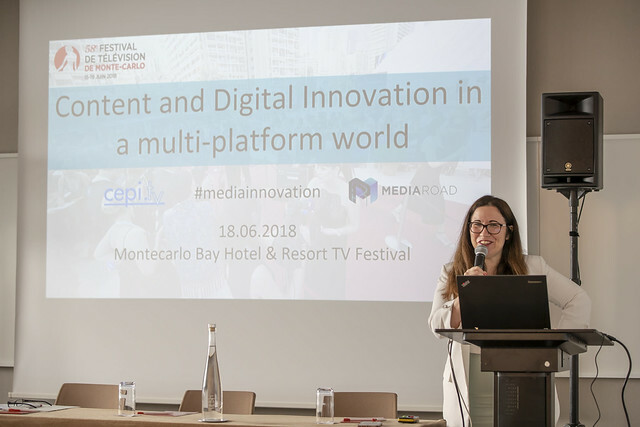 This new multi-platform environment creates new opportunities for the key actors of the creative sector such as producers, distributors and broadcasters to define innovative paths of collaboration and more synergy with SMEs. Registration is open - and we still have a few seats available! In case you are interested in participating in the event please register here. Please klick here to register for the workshop. There is a stop at the Monte-Carlo Bay which is next to the Meridien and a 10/15 min walk from Odalys. Where to take the shuttles? Please find a Press Release and an event summary. PANEL 1: CONTENT PRODUCTION AND DISTRIBUTION IN THE NEW TECHNOLOGICAL SYSTEM, HOW TO COMBINE CREATIVITY AND INNOVATION? PANEL 2: WHAT ROLES ARE NEW SKILLS AND NEW DIGITAL LITERACY PLAYING FOR ADAPTING TO THE MASSIVE TECHNOLOGICAL CHANGE? HOW CAN DIGITAL SKILLS HELP TO BUILD A MORE COMPETITIVE EUROPEAN MARKET? HOW TO GET PREPARED FOR IT? PANEL 3: SHAPING THE FUTURE EMBRACING INNOVATION: WHAT NEW OPPORTUNITIES IN THE EUROPEAN MARKET? Sarah Geeroms (Project Leader VRT Sandboxes International) and Kris Peeters (Executive Producer Drama at VRT), VRT MediaRoad Sandbox Hub and the European network of media innovation incubators and accelerators. Please have a look at our video summary!